One of the big components of Cub Scouting is the uniform. 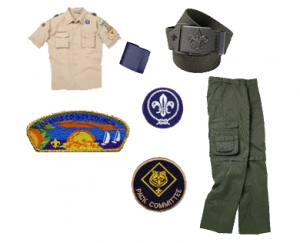 We strongly encourage parents to buy a uniform upon joining so that their son fits right in with the other boys immediately. 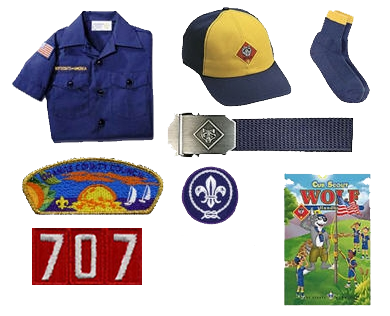 Tiger, Wolf, Bear, and Webelos I Cub Scouts wear the blue button down uniform shirt and Webelos II Scouts wear the tan uniform shirt in preparation of entering BoyScouts. Regardless, get a shirt sized a little larger because those little guys grow fast! Your son will need to get a Cub Scout manual, a uniform with patches, and a den hat. 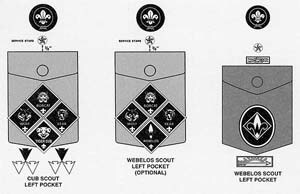 A pack T-shirt is highly recommended for some outdoor activities where a full (“Class A”) uniform would be cumbersome. 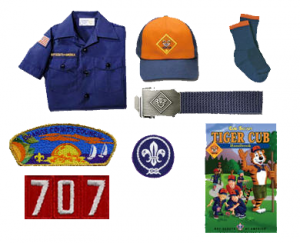 Following are the detail requirements and the current costs. 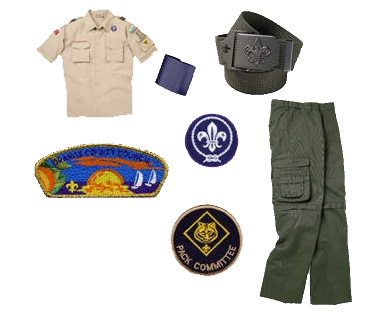 Uniforms can be obtained from a local Scout Shop. 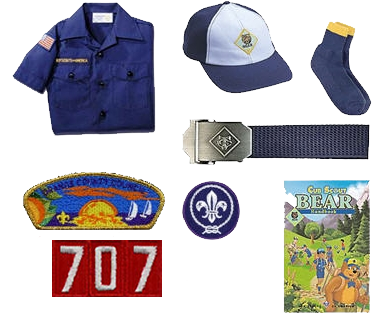 Scroll to the bottom of the page for patch placement. Note: If it’s your first year in scouting the parents are responsible to buy the neckerchief and slide. 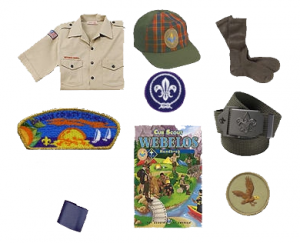 After your first year the Pack will provide it at no cost at Scout Graduation.